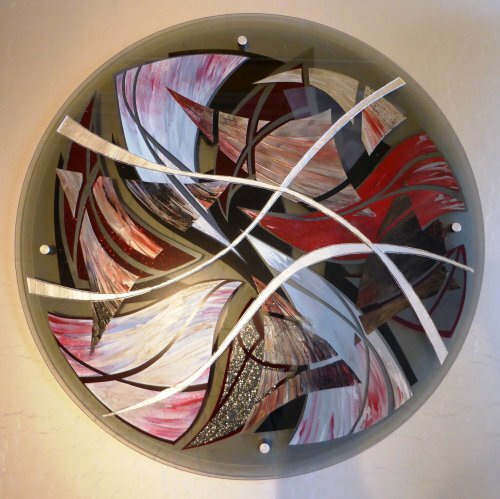 This painting was executed on grey transparent glass. It was painted on both sides with multiple payers of oils and glass paints. Some textures were added afterwards to create a 3D effect and make the work visually diverse.